Post subject: Re: What are you Wearing Today? 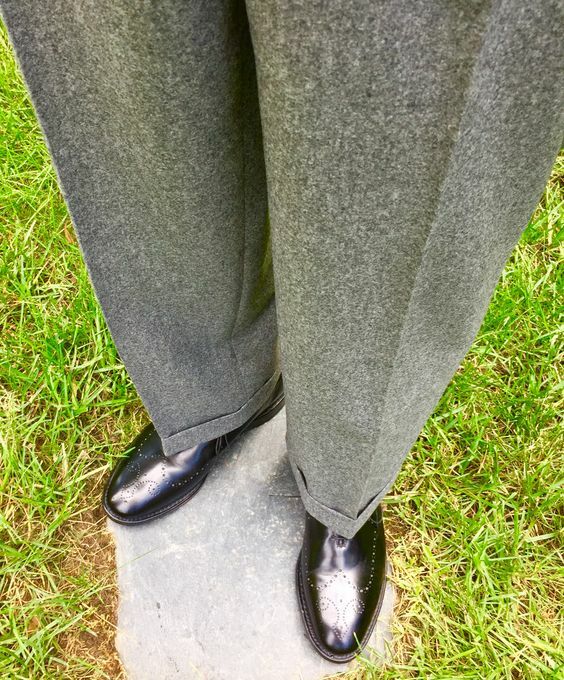 All Brooks Brothers except for Trafalgar alligator belt, Gold Toe argyle socks, and Allen-Edmonds suede shoes. 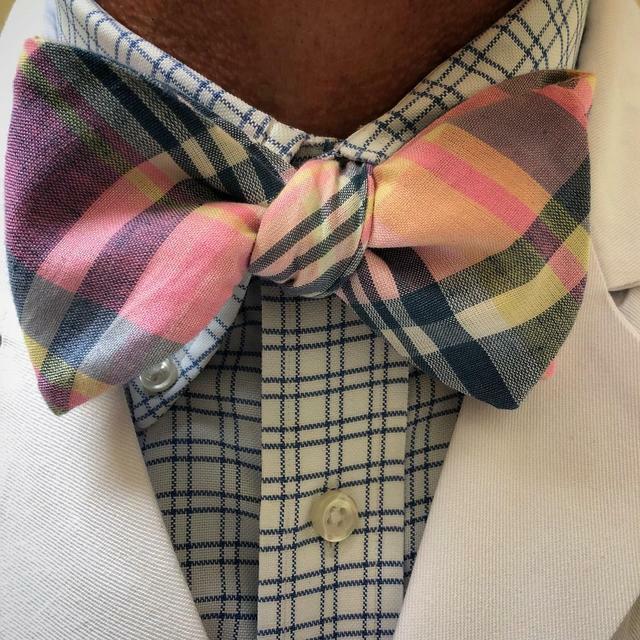 Today was National Bow Tie Day. A small cluster of Health Care Coats on display! My Wife and I attended a funeral for a wonderful neighbor lady who, over the years– and along with her husband – adopted a dozen or more children who were homeless and parentless. They were reared to adulthood by the couple and have turned out to be magnificent adults! Here's the respectful apparel I wore. Several hundred people attended the funeral... and every male in attendance was dressed in suit and tie with polished shoes. 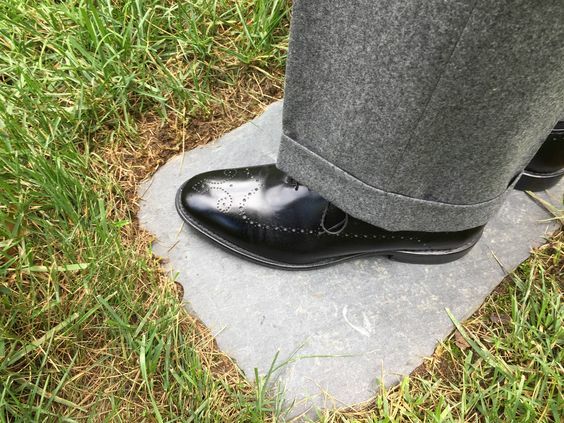 The perfed shoes are made by Allen Edmonds in a category known as whole cuts. Whole cuts describe shoes that are cut from a single piece of leather. Other stuff: BB straight point collared shirt and a BB#1 repp tie. Billax, excellent and very respectful attire. The Southwick looks like a two-button sack. Really like the shoes. Thank you, Gamma. It is a 3/2 sack, but I can why you's think that as neither the top button nor top button hole show up in this picture! ^ It's the guy flexing on the right in the black shirt, isn't it? 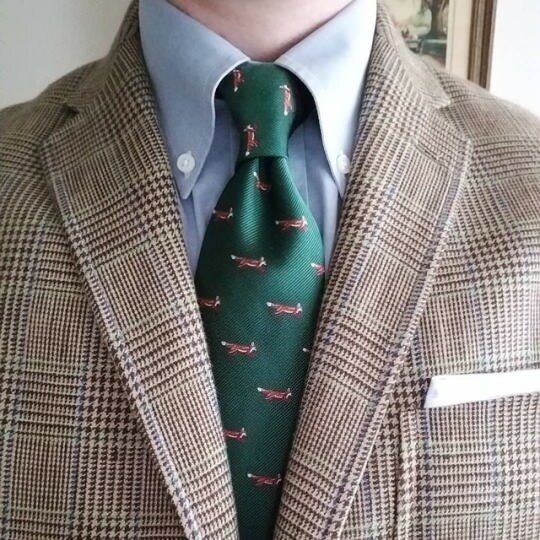 Foxy tie courtesy of our friend, gamma68. Thank you, sir. I think it just might be the guy on the left with a camera round his neck. 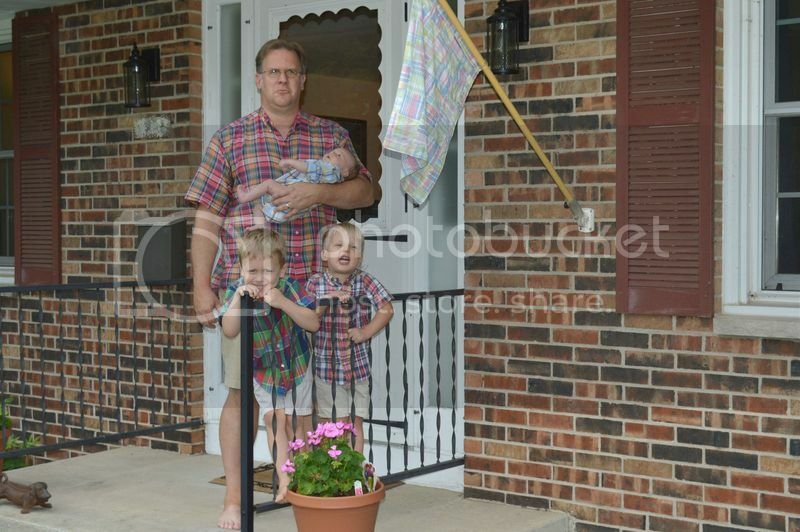 The shirt might be a Madras plaid and the kids seem to be mouthing the phrase, "Patrick! Patrick!" 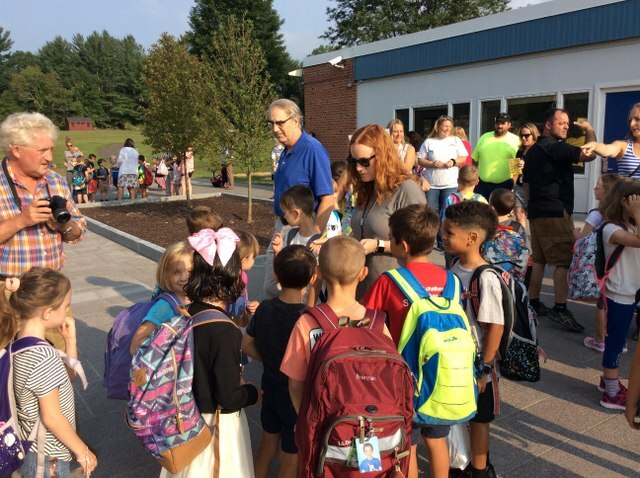 The teacher with the red hair and shades in the middle of the scrum is a dead ringer for a friend of mine 25 years ago. Same last name, too. It's eerie. 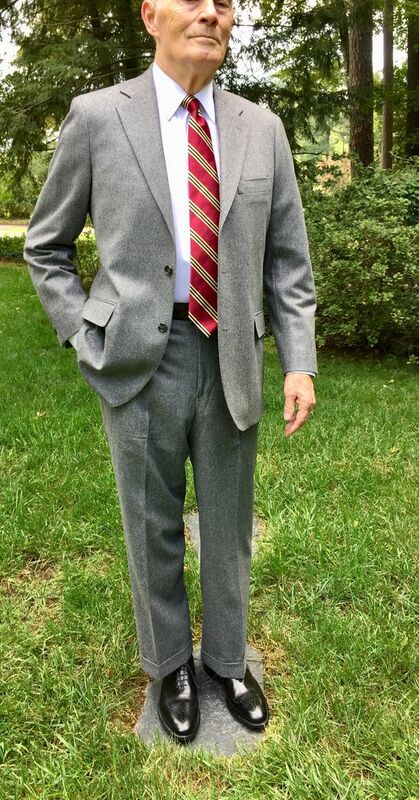 Brooks Brothers blue and white gingham PPBD shirt, Trafalgar blue and red surcingle belt, Banana Republic grey glen plaid cotton/linen blend trousers, and Allen-Edmonds grey suede Strandmoks. There are several places in Cave Creek AZ that sell metal dinosaurs (and other similar metal things). Have no idea why anyone would ever buy one of these things.